NEW DELHI: Rejecting recommendations of the Parliamentary Standing Committee on National Medical Commission Bill, the Indian Medical Association, the largest body of private doctors in India, on Sunday called for an indefinite strike from April 2. More than 25,000 doctors held a ‘mahapanchayat’ in Delhi and opposed the parliament panel’s recommendations and the bill. 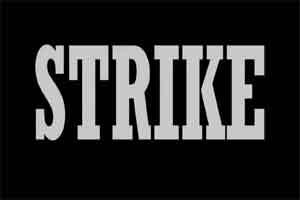 IMA national president Ravi Wankhedkar said all medical students and doctors will go on an indefinite strike on April 2. He said there was no need for any law if the government wanted to boost only AYUSH, homoeopathy, pharmacists and dentists. “The PSC report is deceptive to such an extent that it will open the floodgates to allow back-door entry to cross-pathy, thereby promoting quackery legally. Even after cosmetic amendments, core issues still remain where it is.” Declaring hospitals “safe zones” was one of the issues discussed at the mahapanchayat. Vinay Aggarwal, coordinator of the mahapanchayat, emphasized on the issue of violence against doctors and insisted that the “problems faced by doctors are enough, now it’s time to payback”. People should understand the meaning of medical negligence and that a doctor never intends to perform a wrong surgery, IMA said. IMA needs to rethink.People\’s sympathy & support will be more towards parliament & govt as the stand of rural healthcare has sound logic.Rather IMA should come out with some good suggestion for a win win situation.IMA needs to be accommodative.IMA has to understand the fact that people are vehemently in support of govt\’s endeavour for rural healthcare.Even many MBBS doctors have come out in support of govt\’s stand.Political parties across party line are favouring effective measures for rural healthcare.Hence,IMA must analyse all pros & cons before taking such a drastic step of strike. If IMA comes out with any viable solution,it is certain that Govt will certainly incorporate it as govt certainly likes to avoid any sort of confrontation.Let good sense prevail.